What happens when something keeps getting smaller and smaller? This is the type of question Empa researcher Johann Michler and his team are investigating. 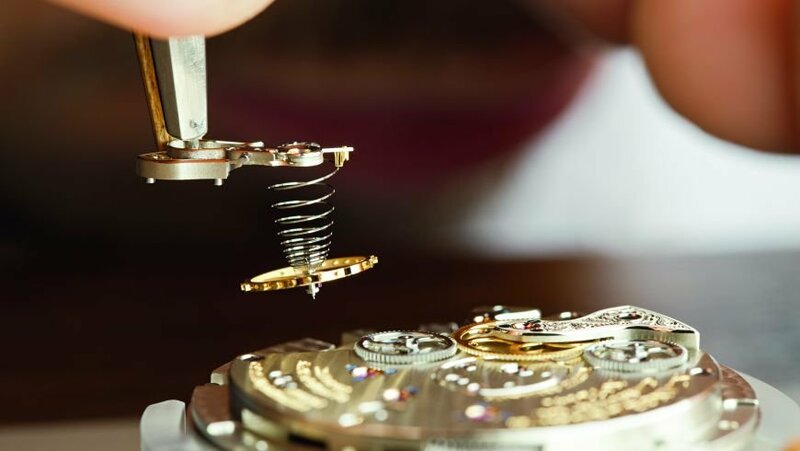 As a by-product of their research completely novel watch springs could soon be used in Swiss timepieces. Applied research is not always initiated by industry – but oftentimes it yields results that can swiftly be implemented by companies. A prime example can be seen on the Empa campus in Thun: Tiny watch springs are on display at the Laboratory for Mechanics of Materials and Nanostructures. These springs – the beating heart of every mechanical clock – are not your usual components. They are not made of the famous Nivarox wires, but rather deposited electrically – or, rather, electrochemically – in the desired form from a cold, aqueous saline solution. By now, the production in the Empa lab has outgrown the first pilot tests. On a regular basis the electroplated springs are delivered to the R&D department at a major Swiss watchmaker, where they are fitted in prototype watch mechanisms. The watches run. However, there is still work to do on their accuracy and long-term stability. Only a few years ago, Empa had to rely on partners to take care of certain process steps. Meanwhile, the knowhow for the entire production process is pooled in Michler's lab. Laetitia Philippe, who oversees the production of the springs, explains the production steps. The base material is a silicon wafer like the ones used to produce computer chips and solar cells. This wafer is initially coated with a conductive gold layer and, later on, a thin layer of light-sensitive paint. The shape of the spring is then projected onto it and the illuminated parts of the paint are etched out. Now the desired metallic alloy can be electroplated onto the conductive gold base.